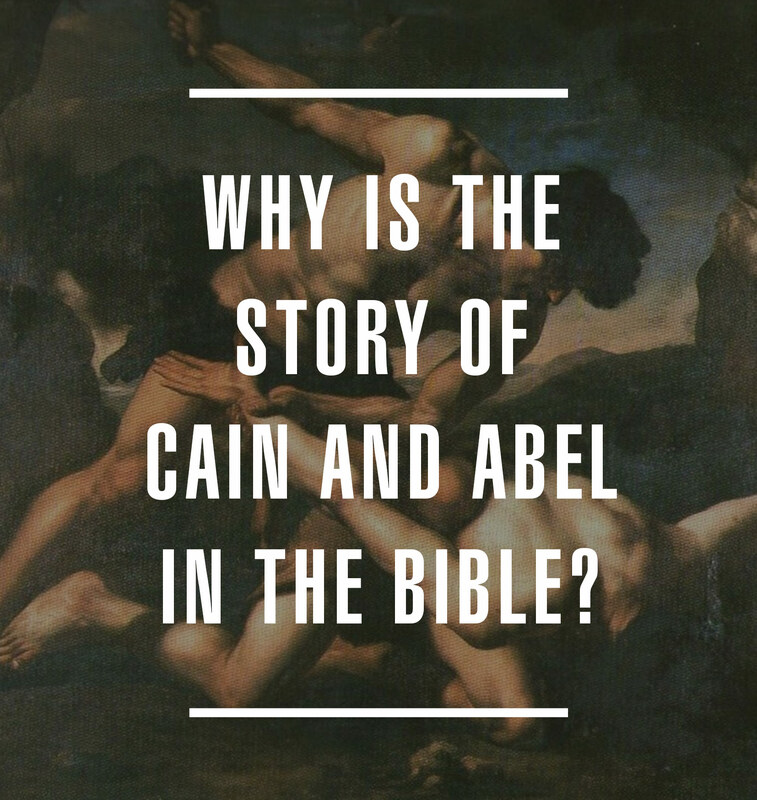 Why is the Story of Cain and Abel in the Bible? But after years of studying the story and meditating on its meaning, I’ve come believe it’s not a moral tale at all. The story of Cain and Abel is roughly two and a half paragraphs long, and spans from Genesis 4:1 – Genesis 4:17. Think about that. Isn’t that staggering? The lives of the first two sons ever born to human parents is summed up in only 17 verses. If the Bible was a history of important men, their story should be much longer. But the Bible isn’t the history of important men. It contains historical information about many men, and teaches us where we came from, but the Bible is not about us. Often I crack open the New Testament to find something to help ME. Not to learn more about GOD. But if we explore the meaning of the story of Cain and Abel from a human-centered perspective, we will miss the point entirely. Genesis is both true history and a work of literary genius. When you look at Genesis 4 in the original Hebrew, you see extraordinary symbolism woven throughout, to the extent that each word seems to contain the importance of an entire book. Let’s take Cain’s name for example. It sounds like the Hebrew word for, “possession,” and also like the word, “spear.” This links up to Cain’s violent nature, and God’s warning that sin was crouching at the door, waiting to devour him. Abel’s name is the same word Solomon used in Ecclesiastes to say, “vanity.” It gives the connotation of brevity, linking up to his shortened life, and also the idea that Abel was an unnecessary extra gift. This is one reason many scholars believe Cain and Abel were twins. That promise given in Eden is the first prophecy in the Bible, and is a prediction of Jesus’ coming death and resurrection. Take a second to think about what you would feel like if your parents thought you were going to be their savior, the reversal of their sin. Then imagine that you’re rejected by God, while your twin brother, born just after you by some twist of fate, is welcomed by God. All your life you’ve hoped to make your parents proud, to be the savior they long for. Then your younger brother steals it away from you. And that’s exactly how we see Cain react to God’s rejection of his sacrifice. In the original Hebrew, “his face fell” is ambiguous. It gives both the connotation of shame, and of anger. A single word describing a wordless response to a lifetime of hopes collapsed. If we don’t see ourselves in Cain, I don’t think we’re seeing at all. So Cain speaks to Abel. We have no idea what’s said, but directly after, Cain goes to Abel in the field (Cain’s domain as a farmer) and kills him. Given the brevity of the text, this seems like a completely overblown reaction. And, of course, it was a terrible mistake. Abel didn’t deserve to be killed, and Cain had no right to kill him. But it’s interesting to me that Cain, who Eve had likely hoped would be their Savior, would play God by murdering his brother. What a perverse reversal! Murder is the ultimate expression of pride. By murdering, we claim to have authority over other people’s lives. But only God has that authority. So here Cain goes, kills his brother, then talks with God. Here we are offered some of what’s said—because this is where the story starts to matter. 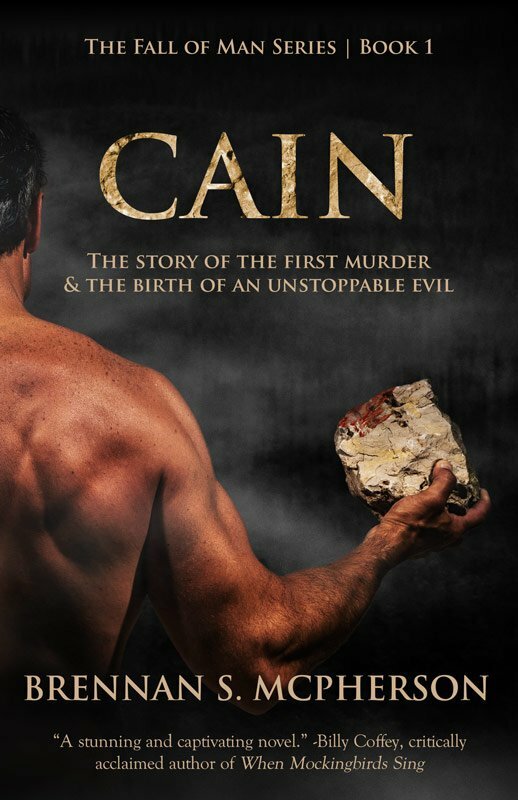 Cain murders his brother, then lies to God’s face about it. God reacts, at first, just how you would expect any father to react – by punishing him. Then Cain complains, as we would expect any son to do. Here’s where things get really weird. Can you believe that? After Cain murders his brother and lies to God’s face about it, God shows Cain mercy – love through action. When words would not reach him, God showed him through action. What a powerful portrayal of God’s love and forgiveness! And here we find it in the very beginning of the Old Testament! Get that. He wanders. Just like God promised. Does he ever repent? Does he ever come back to God? When I was writing Cain, the full length novelization of Genesis 4, that was the question that most pressed on my heart. From what we’re shown, we’ll never know. In fact, I think part of the reason we’re not told is that we’re supposed to see ourselves in Cain. And that we’re supposed to see Christ in Abel. Abel was an ‘innocent lamb’ unjustly slain. And his blood covered the earth. Interestingly enough, Adam was formed out of the earth, and Christ’s blood was shed to cover us. It was our sin that bled him, just like Cain. The story of Cain and Abel is not a moral tale. Instead, it shows us God’s grace and love being offered to the worst of us. It’s a profound picture of Christ’s death and resurrection as a reversal of our sinful nature. Proof that our morality can never be enough. That’s why I believe that if we don’t see ourselves in Cain, we’re not seeing at all. Click or tap here to continue exploring GENESIS through fiction for free.